E-Scoop glasses are designed with the highest manufacturing standards and they feature scratch resistance and no-fade technology. 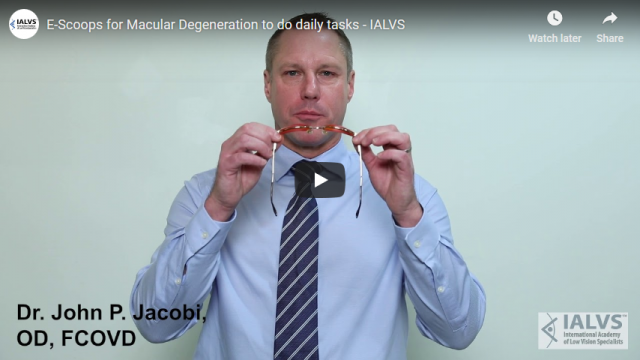 Like all low vision aids, each case needs to be assessed on an individual basis by our low vision doctor, in order to provide a customized recommendation that will best suit your visual needs. 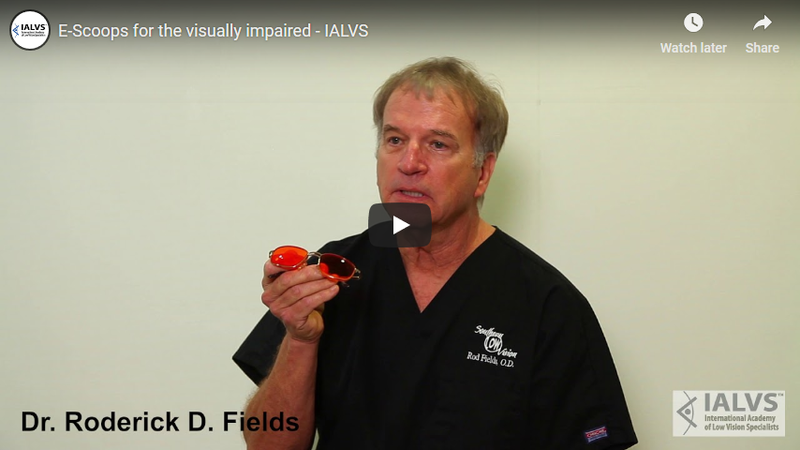 In our experience, the life-changing nature of low vision aids far exceeds their costs. 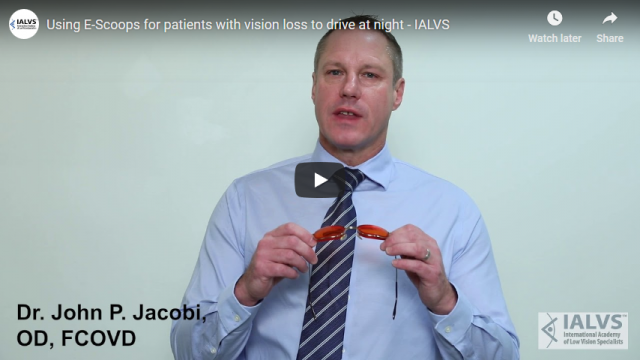 While we understand that for many the cost of low vision aids, and custom optics, in particular, can exceed their budget, we also try and give over the many benefits that make low vision aids a worthwhile investment. 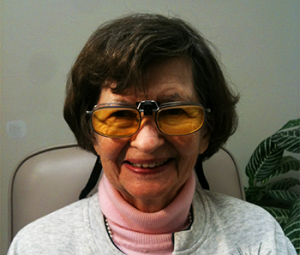 E-Scoop glasses are available as both standalone glasses and as a clip-on option. They are also available without a prescription, in single vision, progressive, and the flat top. E-Scoop glasses are available in yellow, brown, and clear tint, however yellow tint is considered ideal for maximum effectiveness. E-Scoops can be placed in full rimmed oval glasses made out of plastic or metal, and are not suitable for rimless or half-rim frames due to the lens curvature and thickness.